Caisteal Liath offers quality self catering accommodation in beautiful grounds on the north side of Lochinver, Sutherland. There are three self catering chalets on offer which are close to the village in the beautiful Scottish Highlands. The chalets enjoy wonderful sea and mountain views, they also have their own private balcony. The self catering chalets are just a short walk from the village which has restaurants, pubs, coffee shops and a butcher. At the further end of the village is a supermarket, newsagents, petrol station, Post Office and other facilities. 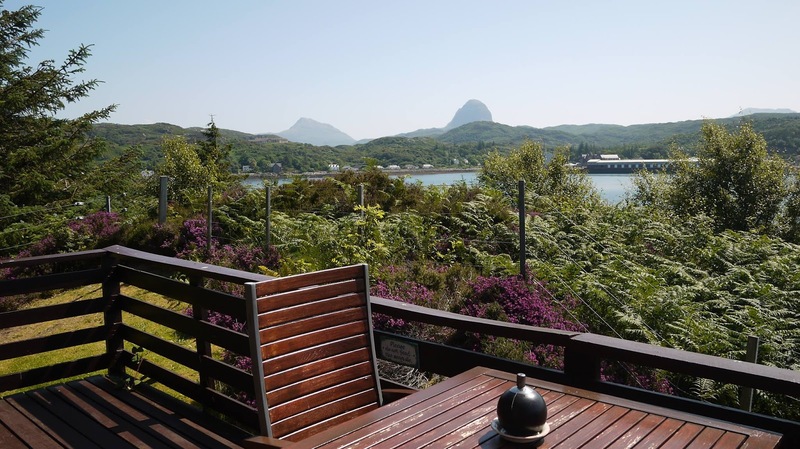 There is lots to explore slightly further away such as the Inverewe Gardens, the Skye Brewery and Ardvreck Castle. The area is also full of interesting activities all year round. There is a leisure centre in the village which has a gym and there are plenty of outside activities including mountain climbing, kayaking, fishing and golfing.